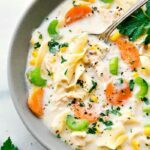 A delicious and creamy chicken noodle soup packed with veggies and made easy in the slow cooker. I rely on my slow cooker a lot. It’s used at least once a week and does not get put away once the winter is over. There are a few meals that are staples for the crockpot — meals we make over and over again and never get sick of. 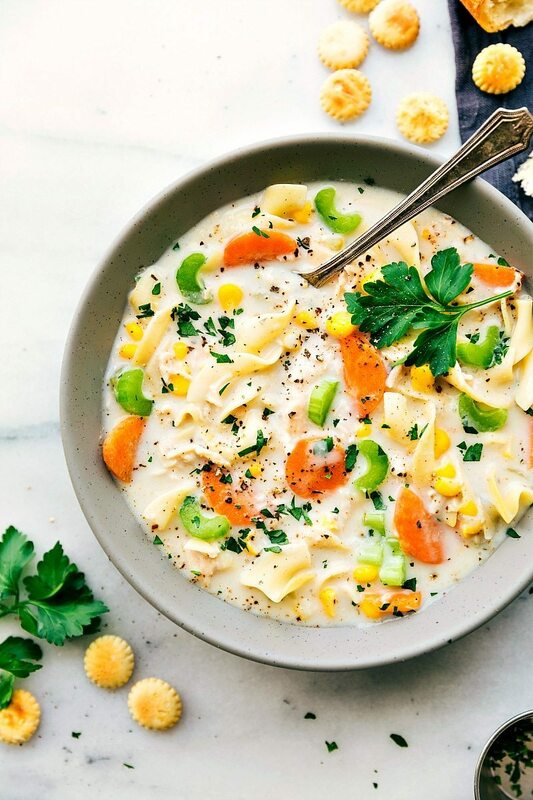 This — creamy chicken noodle soup — has become one of those staples. Between the four of us, someone has had some sort of cold or sickness this entire past month. I started making this soup at the end of last December (because who doesn’t like chicken noodle soup when they’re sick?!) and I’ve been making it every week since then. It’s the perfect soup to combat a cold! AND if you happen to have the cold, well, it’s something you can easily muster enough strength to make. ? It’s seriously easy to make thanks to the crockpot! 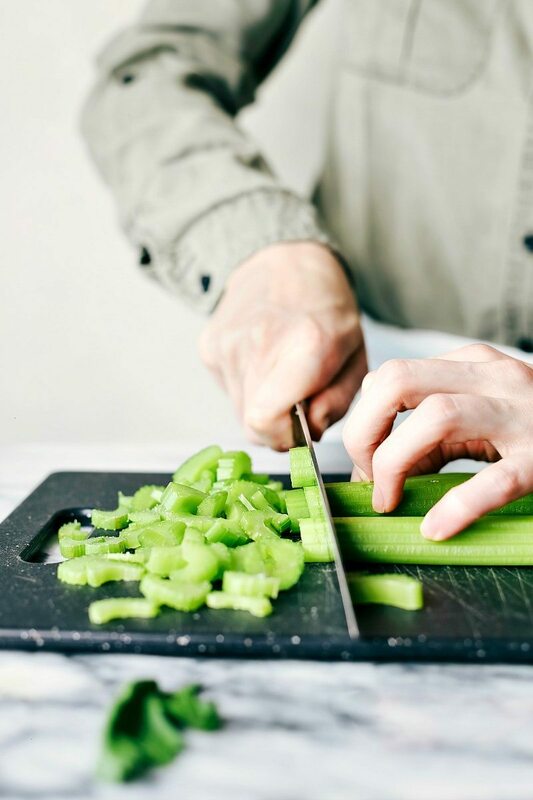 There is a little veggie prep involved, but if you’re looking to avoid that, a lot of grocery stores have pre-chopped carrots, celery, and onion (called mirepoix). 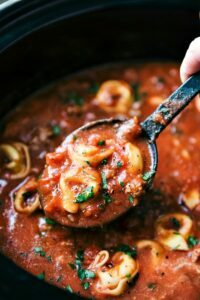 Grab a container of that and then this meal is completely dumping it all in the crockpot and forgetting about it! The chicken can go into the crockpot uncooked and then there are a few herbs and finally, Swanson® Organic Free-Range Chicken Stock. This stock is a super important ingredient in this soup and really creates the base flavor of the soup. 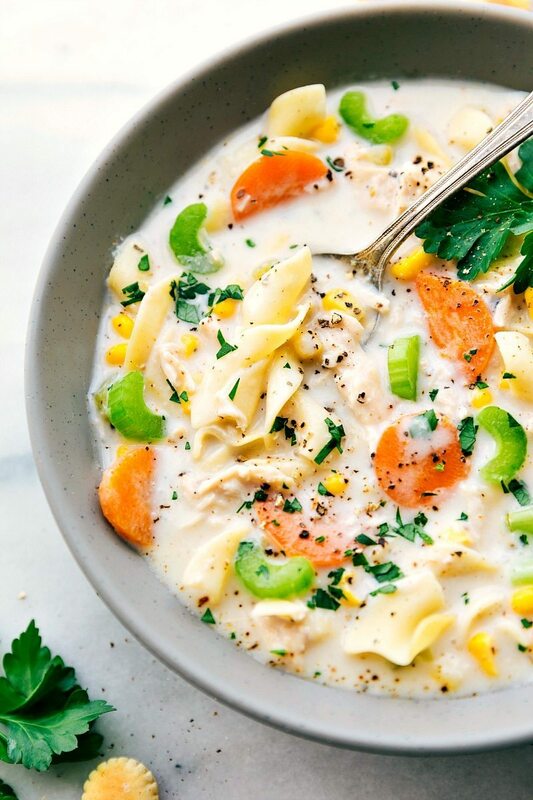 Because of all of the flavor in the stock there isn’t a huge need for too many extra seasonings or additions to this soup. This stock takes care of all that! 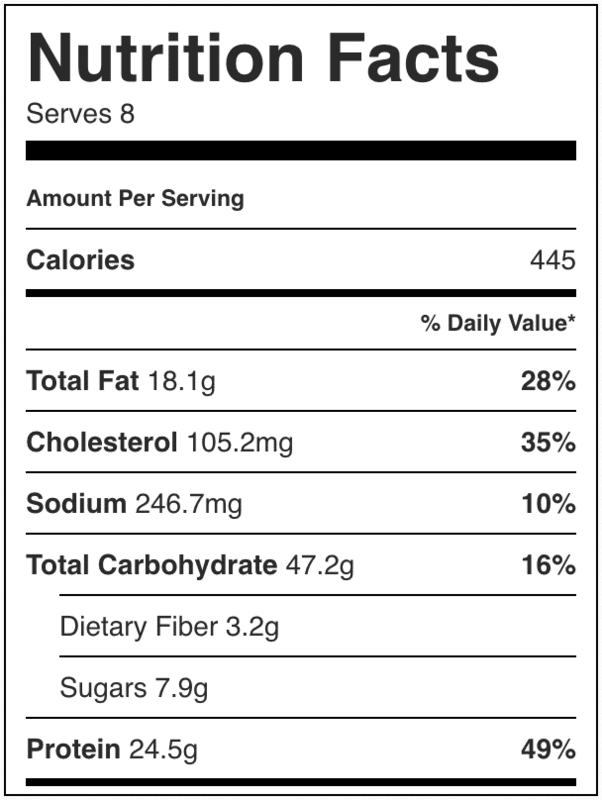 If you’re making classic Chicken Noodle Soup, I’d recommend using Swanson Chicken Broth. Because of the chunkier and heartier nature of this slow cooker recipe, I used stock. We like soups on the thicker/chunkier side, so if you’re looking for a “thinner” soup it’s easy to add a bit more broth or milk to this soup! And finally, some fresh parsley plus crusty bread for dipping = must haves. Trim the fat from the chicken and place in a large crockpot. (I use a 6-quart crockpot). Dice the onion, thinly slice the celery, and peel + thinly slice the carrots. Add to the crockpot along with the frozen corn and minced garlic. 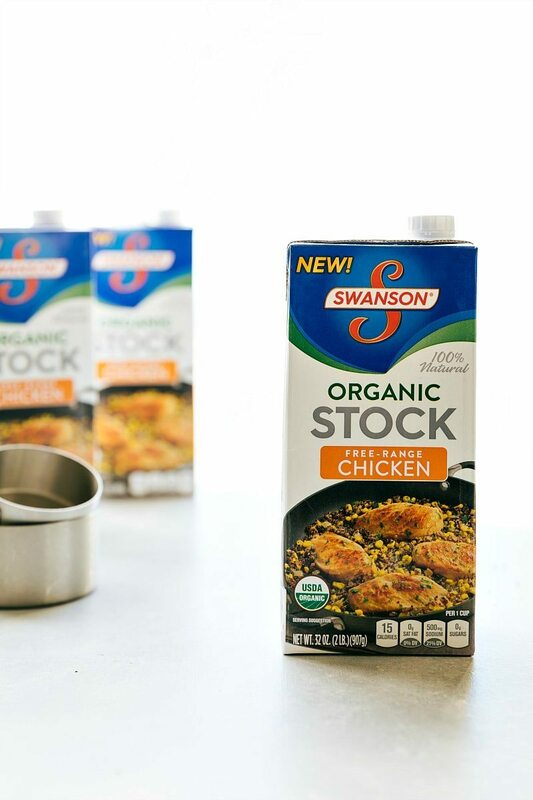 Pour the Swanson Organic Free-Range Chicken Stock over everything. Add in the bay leaves, dried thyme, dried basil, dried oregano, and salt + pepper. Stir and then cover and cook on low for 5-7 hours or high for 3-5 hours or until chicken is cooked through and shreds easily and veggies are tender. Meanwhile, boil the noodles according to package directions. Drain. While the noodles are cooking, melt the butter in a small pot over medium heat. Once it is melted, slowly add in the flour and whisk until combined. Whisk until smooth and cook over medium heat for 1 minute. Slowly add in the whole milk (starting with 2 cups) whisking constantly. Allow to thicken. Add this cream mixture to the soup. Remove the chicken, shred, and return to the crockpot. If desired add remaining 1 cup of milk to the soup. Stir in the egg noodles (OR if you plan on having leftovers, keep them separate). Add in the fresh parsley. Taste and season if needed (extra salt and pepper) and enjoy! Special thanks to Swanson for sponsoring this post; as always, all opinions are my own. Ahhh so creamy. So perfect. Yum! Looks so creamy and delicious! What a great recipe for winter! 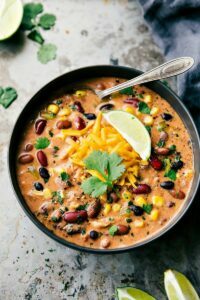 I love this creamy version and I love using the crock pot too!! Have to agree that chicken noodle soup is great to have when fighting a cold! This was AWESOME! We absolutely loved it. I wonder how it would freeze (minus the noodles)? 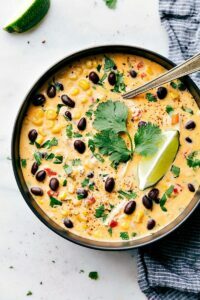 I am always looking for soup recipes – last week we weren’t feeling, and this was the best comfort food I’ve had all winter. Thank you! I think next time I will try to freeze some and see how it goes. This looks delicious! Has anyone tried it with almond milk, cashew milk or some other non-dairy options (sub’ing for whole milk)?